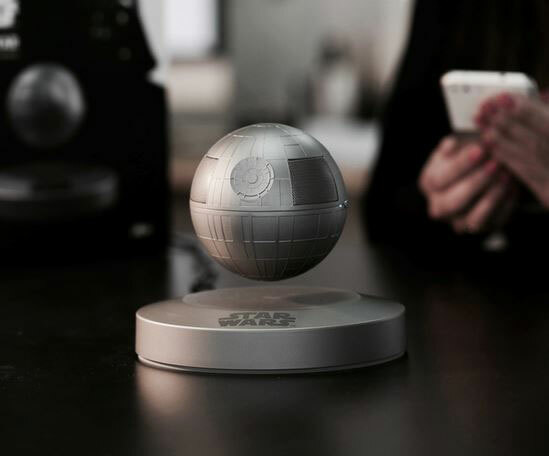 hellosy Levitating Death Star Bluetooth Speaker: it has a speaker orb that levitates and revolves on a magnetic base. The speaker rotates 360 degrees and plays music from your phone. 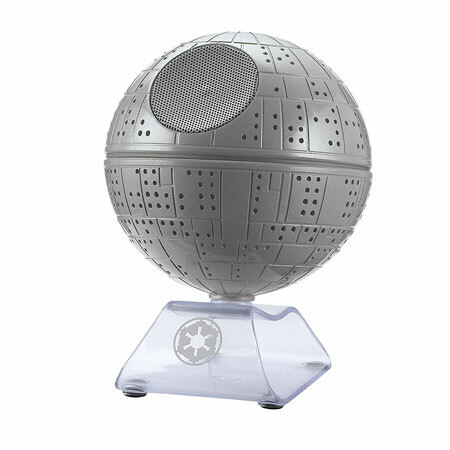 Death Star Bluetooth Speaker: lets you stream music and movies to it from up to 30 feet. It also allows you to answer calls. 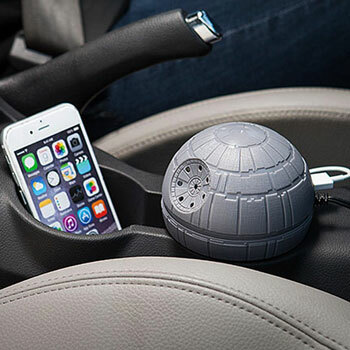 Death Star USB Car Charger: lets you charge your gadgets in your car. It plays sounds and has 3 volume settings. 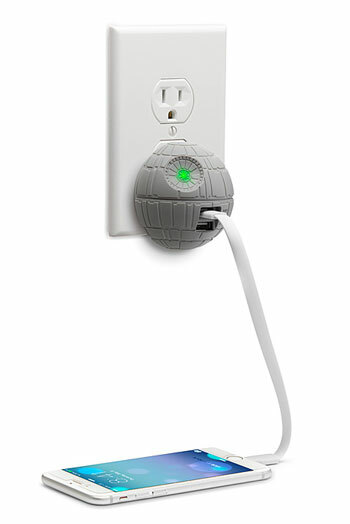 Death Star USB Wall Charger: a cute USB charger with 2 ports to accommodate tablets and smartphones. 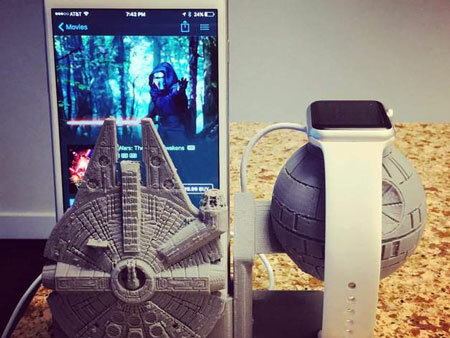 Death Star Millennium Falcon Charging Stand: accommodates your iPhone and Apple Watch. Great project if you love 3D printing your own things. Have you found cooler Star Wars chargers and accessories for iPhone or Apple Watch? Please share them here.